It is not every day that a birder gets to play with a prototype scope made by one of the premiere optics companies in the world. Yet, somehow, that is what I found myself doing on the grounds of Tisza Balneum, the gorgeous hotel on the shore of Lake Tisza in Hungary where Swarovski Optik had decided to unveil to a gathered group of European and American birders the scope for which we had all been waiting, even if we didn’t know we had been. The Swarovski ATX and STX modular spotting scopes are, to put it as simply as possible, awesome. When they are first sold, which will occur in August at Birdfair, I imagine long lines of birders throwing cash at the Swarovski sales representatives. But I am getting ahead of myself here. What makes these scopes so special? First of all, the biggest of the new scopes will boast a 95 mm objective lens. That is just insane. The amount of light this scope lets in is absurd. Second of all, the 95 mm scope zooms from 30X to 70X magnification. That is nuts. Third, the scopes are modular, which means that you can buy the full 95 mm scope and then just the objective end of the 65 mm scope and, if you want to use a scope for a trip and have to pack light, you can just swap out the big objective for the little one, a quick and easy operation. Not only that, but because the scope breaks down into two pieces it fits into what is essentially a binocular case, which makes figuring out how to pack it that much easier. Not convinced that these scopes are awesome yet? How about the fact that the zoom is right next to the focus on the barrel of the scope? No longer do you need to switch hands and reach for the eyepiece to zoom in on that distant shorebird. Just move your fingers a half-inch and zoom right in on it! Another really nice touch is the lens cap which comes on an elastic cord that has enough give that you can tuck the cap under the cord so it doesn’t flap around in the breeze. It is a minor detail for sure but when each and every minor detail is addressed perfectly you end up with a seriously sweet piece of equipment. Oh, and have I mentioned that the scopes have had the magic of Swarovision applied to them? If you have used Swarovski Swarovision binoculars you know what that means – crisp, clear images from edge-to-edge with perfect color. Anyway, back on the shore of Lake Tisza I was more than pleased to learn that even though only the angled scope (the ATX) was in mass production, Dale had thoughtfully brought three prototypes of the straight-through scope (the STX) for those of us who prefer them. So, yeah, I considered sneaking away from the group, hitchhiking back to Budapest, and living life on the lam with my ill-gotten prototype Swarovski scope. Fortunately, cooler heads (and the threat of being hunted down by angry Austrians) prevailed and instead I just looked at Great Crested Grebes, Black-crowned Night-Herons, Eurasian Coots, and other birds. As cool as watching the birds was I also enjoyed watching my fellow birders test out the new optics. The smiles, exclamations of amazement, and sheer joy on their faces reminded me of nothing so much as watching my nieces, nephews, and son on Christmas morning. But what was the best part of that first day with my new favorite toy? It was only the first day of five that I got to spend all day playing with it! And, really, play is what it felt like. Using the STX for looking at birds or for digiscoping was intuitive and it was a joy to not even think about the equipment and just enjoy observing and clicking away. Well, that is, it was intuitive once I got it through my thick head how easy it was to go from focusing to zooming without having to move from the barrel to the eyepiece. Do you want one of these scopes? And if not, why not? If you are a birder you should want one of these scopes! At first, only the ATX will be available, first at Birdfair in August and then at retailers in September. In 2013, the STX will be available for purchase as well. I can’t speak highly enough of these scopes. You can tell that a lot of thought, years of development, tons of energy, cutting edge technology, and accumulated birding wisdom went into creating them. 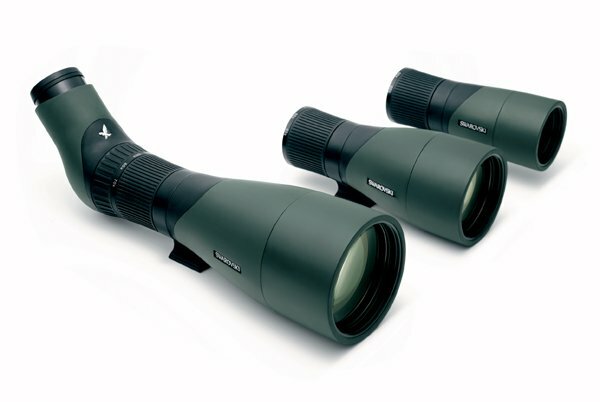 Swarovski has upped the ante and created the premiere spotting scope ever made, in this bird blogger’s humble opinion. Now I just have to figure out how to get my hands on one to keep…maybe I should have absconded with the prototype when I had the chance! 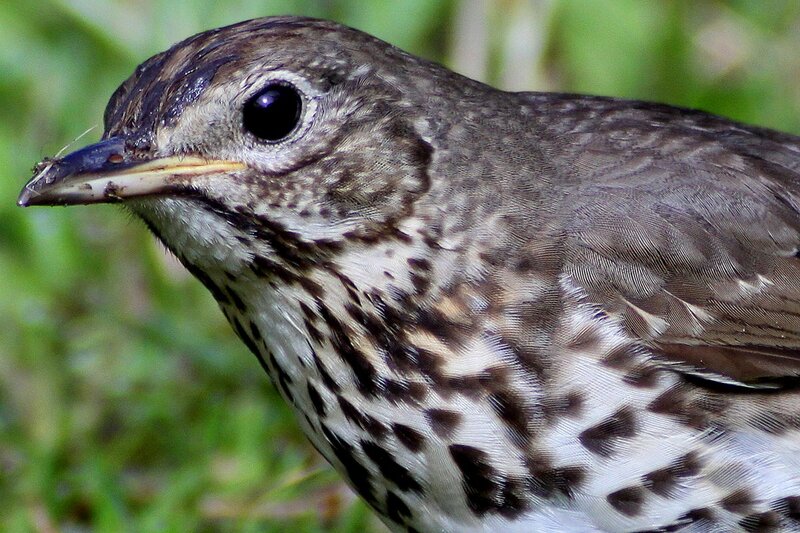 You can read more takes on these scopes from more of the lucky Hungary travelers, American Birding Association President Jeff Gordon, over at the ABA Blog, and Martin Garner at Birding Frontiers. And Mike McDowell has more information at The Digiscoper. You can also check out the site Swarovski Optik has set up specifically for the new scopes. 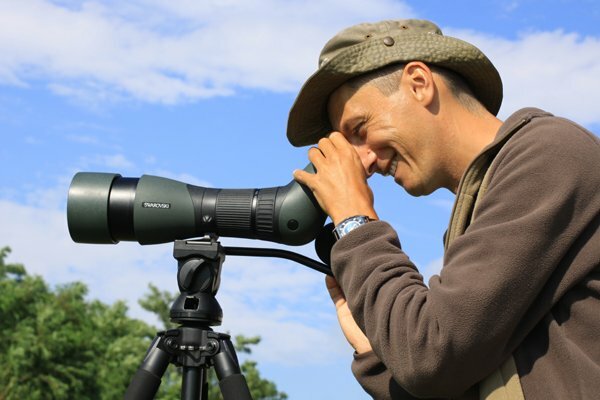 I wanted to explicitly point out that Swarovski Optik flew me and a bunch of other birders to Hungary for a week of all-expense-paid birding with the new scopes. That the trip was free and fun was great but it did not influence this blog post. I pride myself on my blogging integrity and if this scope stunk I would have said so. 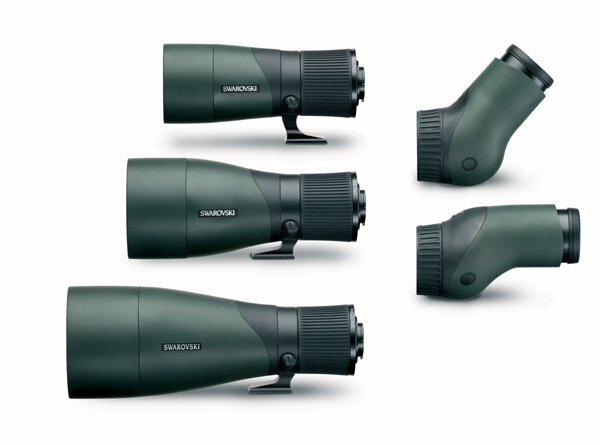 Honestly, once you get your hands on one and your eyes in one you will see that this post is not hyperbole – Swarovski has truly come up with a game-changing spotting scope. Feel free to come on back and say what you think about the scope – positive or negative – in the comments once you have had that experience. My week-long trip to Hungary was a familiarity trip organized by the wonderful folks at Swarovski Optik to introduce their new line of superior spotting scopes, the ATX and the STX modular telescopes. We visited Hortobágy National Park, the Bükk Hills and places in between. Many thanks to Swarovski Optik for inviting me along and letting me experience both some awesome new optics and the natural wonders of the wonderful country of Hungary. @Markus: All the specs can be found on the link to the Swarovski page provided. And, yes, I used all three and think that they are all great, and the 85 makes sense if weight is an important consideration for you. I am not convinced. Maybe I will be if Swaro sends me one (I’ll take the 95er) so I can test it under various field conditions for … say … a year or five. This might change my mind. No seriously, your post sounds mouth-watering! One day, … one day! I wouldn’t need a bribe of a Swarovski to move to the High Arctic. I love it up there! I suspect these scopes are going to be well over the prices for the old Swarvoski scopes. I almost bought a second Swarvoski scope in the spring–wanted a small one for hiking–and now I’m glad I waited. Maybe if I tell the Swaro people that I get paid to watch birds in extremely remote rugged environments that require lots of helicopter and hiking to reach, they’ll send me a scope to test; let’s see how it holds up to some serious travelling and birding in less than ideal conditions. Perhaps if I win the lottery. Hello from Costa Rica, I will like yo know an estimate price for each one of them… So I can star saving and selling my old AT 80 Swarovski scope. Thanks. 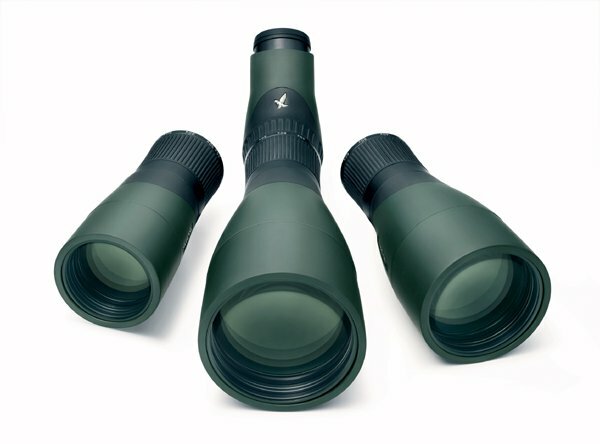 @Manuel: You can see pricing at Eagle Optics.